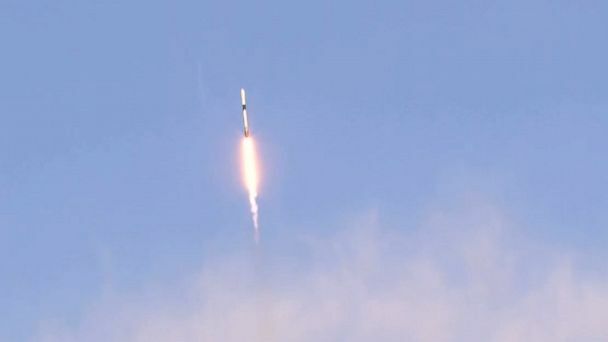 Using its Falcon 9 rocket, SpaceX on Friday launched the final group of next generation communication satellites, known as Iridium NEXT, completing a decade-long project. The 10 satellites, which are part of a 75-piece constellation, were launched at 10:31 a.m. ET from the Vandenberg Air Force Base in California. They began their orbit an hour later, SpaceX confirmed on Twitter. This is the eighth and last set of satellites that SpaceX has launched to replace the world's largest commercial communication satellite network. "Iridium is the only satellite communications network that spans the entire globe and Iridium NEXT is one of the largest 'tech upgrades' in space history," SpaceX said in a statement. "The process of replacing the satellites one by one in a constellation of this size and scale has never been completed before." As well as boosting coverage across the globe, the new network will support new services such as Iridium CertusSM, the company's next-generation L-band broadband, and its AireonSM system for global aircraft surveillance and tracking. Iridium and SpaceX have collaborated on the project for a decade.